Hokkaido was pioneered in the modern era. Perhaps because memories of its development remain vivid, Hokkaido residents are proud of their pioneering spirit. 360,000 people help each other to live in snowy Asahikawa, where the temperature frequently drops to –20˚C. Due perhaps to its pioneering history and perhaps due to its severe climate, Asahikawa has drawn in many frank and open artisans, the likes of whom cannot be seen elsewhere in Japan. These artisans have continuously responded to changes in the market and reexamined their craft to meet market needs. 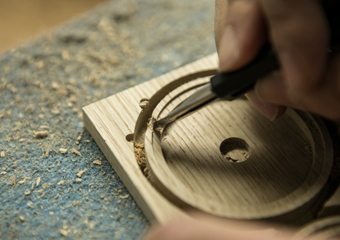 This site provides an introduction to Asahikawa artisans’ products. It covers various brands, factories and studios, which range from those engaged in mass production and employing the latest technologies, to those engaged in medium volume production mixing handicraft and mechanical production, and yet others that are exclusively engaged in handicrafts. We hope that the site will convey the appeal of a wide range of artisans and their products. 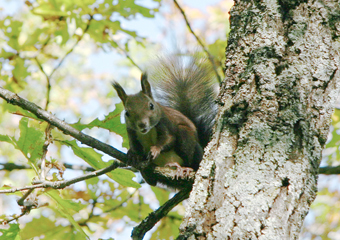 The origin of Asahikawa can be found in its deep rich forests, which produce globally acclaimed lumber. Since the opening of first sawmill in 1890, Asahikawa has grown with lumber. Asahikawa’s forests produce Japanese oak, a superior lumber for furniture, and its cold and dry climate makes it the best place for preserving lumber in an otherwise humid Japan. High quality lumber from around the world is thus collected and stored in Asahikawa. Historically, there has been strong demand for Western furniture in Asahikawa, which has drawn many engineers and artisans to the city. The City government also provides support for the wood product and manufacturing industry, which has helped furniture production technology and industry take root in Asahikawa. Woodworking in Asahikawa has thus accumulated a variety of technologies needed for high quality production. In the late 1960s, as furniture demand waned, artisans involved in making unlacquered wood products and parts processing began developing original products to launch independent businesses. Craft artists followed and also began to make unique products independently. During the same period, Asahikawa City commissioned Yoshio Akioka as its supervisor to provide proactive support to local artisans by giving lectures biannually, providing critiques at crafts exhibitions, and giving private instruction to craftspeople. With the results of these endeavors under its belt, Asahikawa has successfully hosted many designers and buyers to hold workshops and provide feedback at exhibitions of crafts and design. 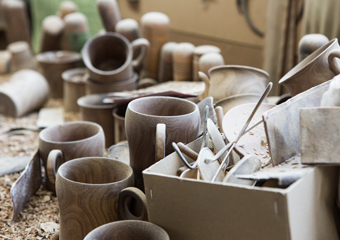 Asahikawa continues to thrive as a site for learning and produce furniture and other wooden handicrafts and products of superior design and quality.